Mona Evy litt forskjellig: GDT - The Corrosive Challenge blog! This is my last final card as guest designer at The Corrosive Challenge Blog. 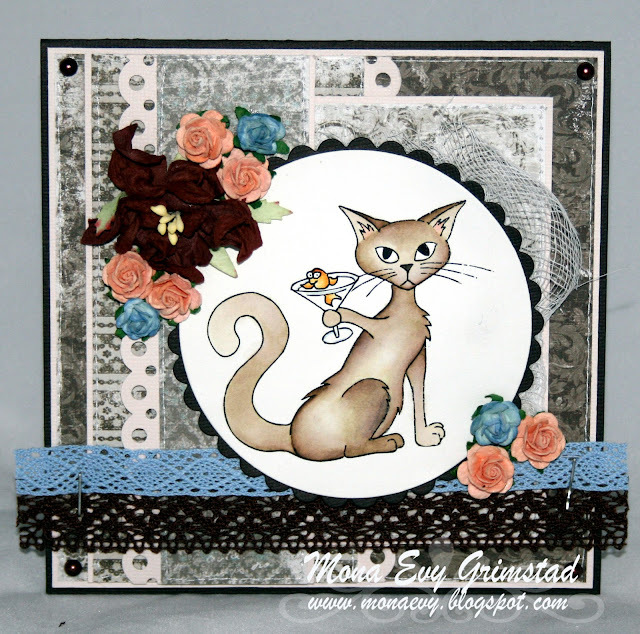 I have used this image from Graphicat Designs called Maritini Cat. Snakke meg og heldig katt da, den coctailen og greier. Great card Mona. Just love it. Adorable card, Mona. That lace trim is so pretty, and I love all the flowers. Great coloring as well. Thanks so much for Guest designing this month! You did an amazing job.